Recently I was out on a measure for a bid and the client was wanting some design advice as well. 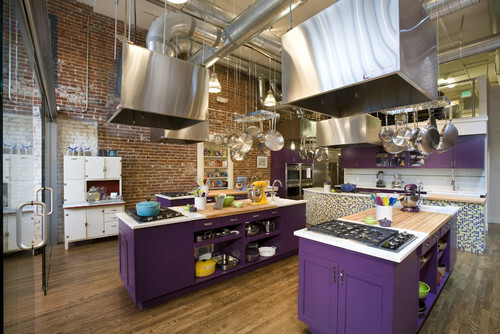 She wants a purple kitchen. She is recently divorced and has always loved purple since she was a little girl. Her ex-husband wouldn't allow any purple in their home, but now that she's single she wants to let the purple in! 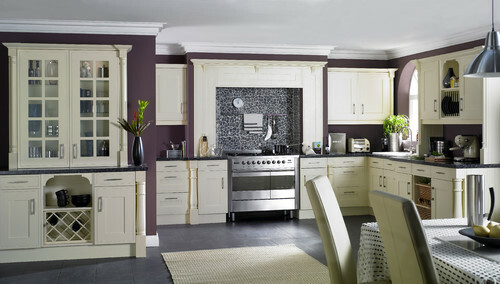 She doesn't want her home to be over-the-top purple and tacky, she wants to do it in a subtle and modern way. We're in the design process now, I'll let you know how it turns out. 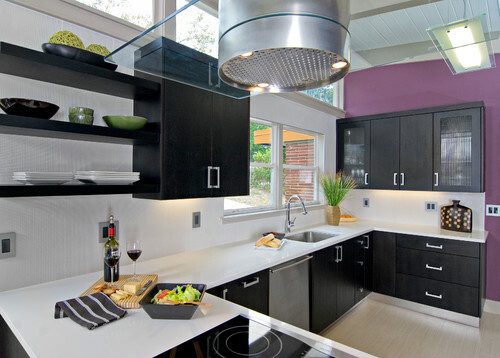 Purple kitchens are fairly uncommon, so I wanted to share 5 purple kitchens that I've found that have used purple in a great way. This first kitchen may be my favorite of the day. The purple is used as an accent in the corner. 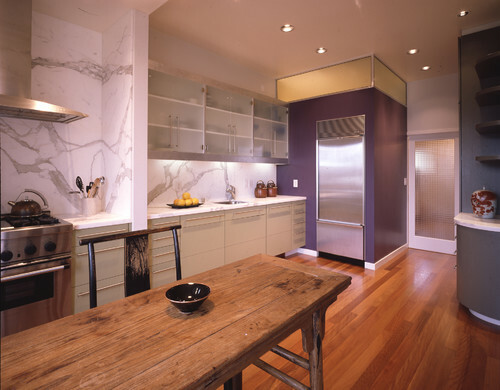 The Calacatta Gold marble on the countertops and full height backsplash are a great compliment to the purple without any competition. Purple looks really great with whites and greys. Yes! I love it with the black/white/gray combination... in small doses. I think these are fabulous! Good for the woman who picked the color she always wanted.